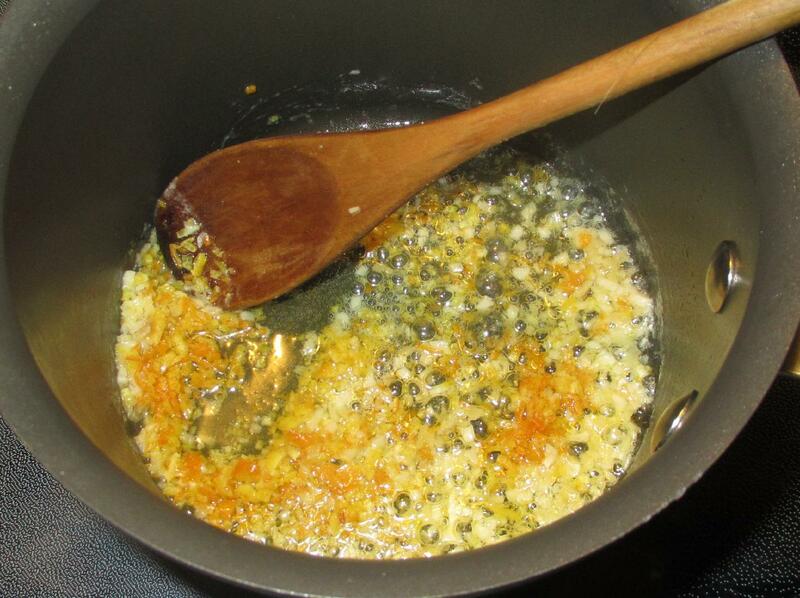 Melt the butter in a small saucepan over moderate heat and then add the garlic and ginger. Sauté until the garlic is translucent and then stir in the lemon and orange zest. Continue to stir until the fragrance is released. Now add the mustard powder, sugar and vinegar and stir to make a paste. Then add the red wine, and the orange and lemon juice. Cook down for a minute or two, stirring well. 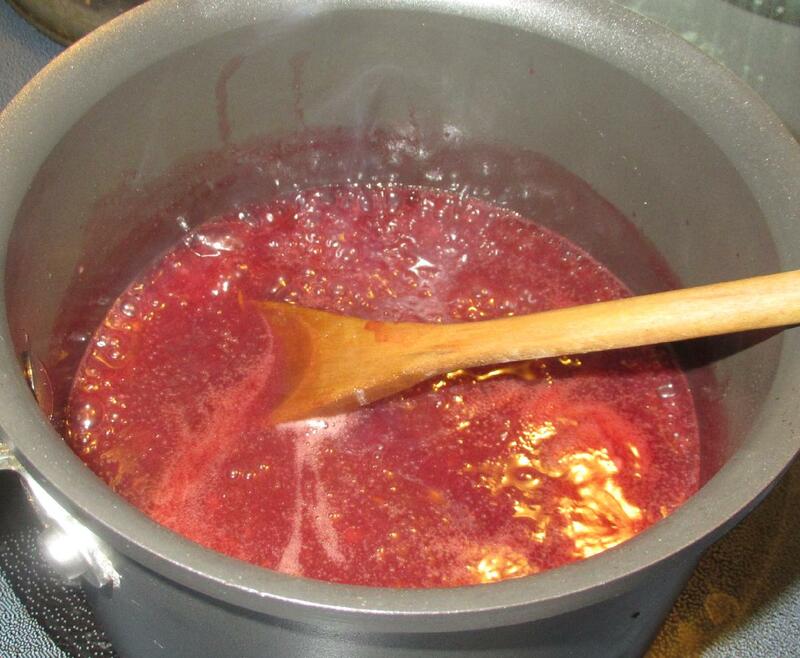 Add the jelly and, when it is melted, add the port followed by the cornstarch slurry. 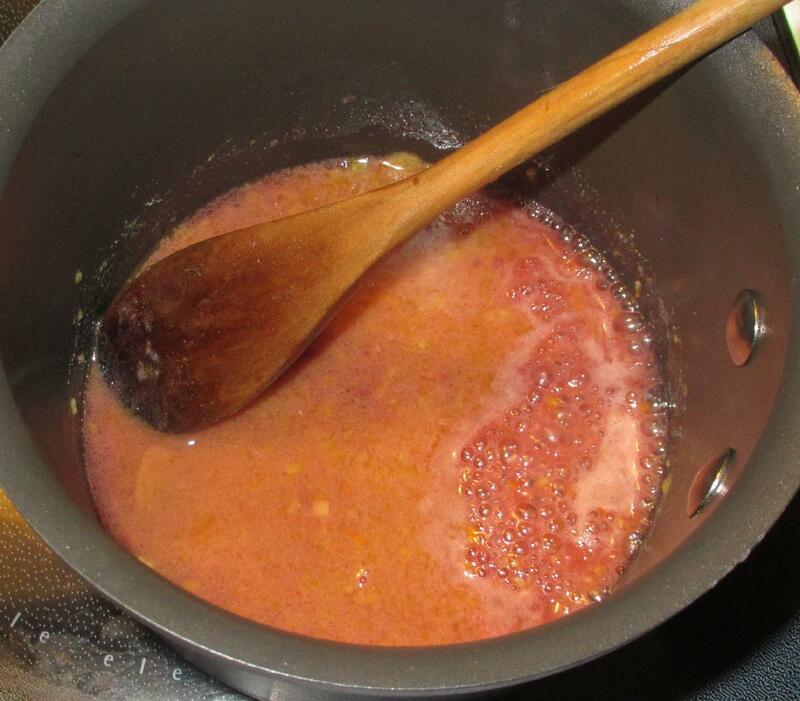 Turn up the heat briefly and stir until the mixture is thickened. You can now serve it immediately or else keep in the refrigerator until needed. It will keep well for a couple of weeks at least. 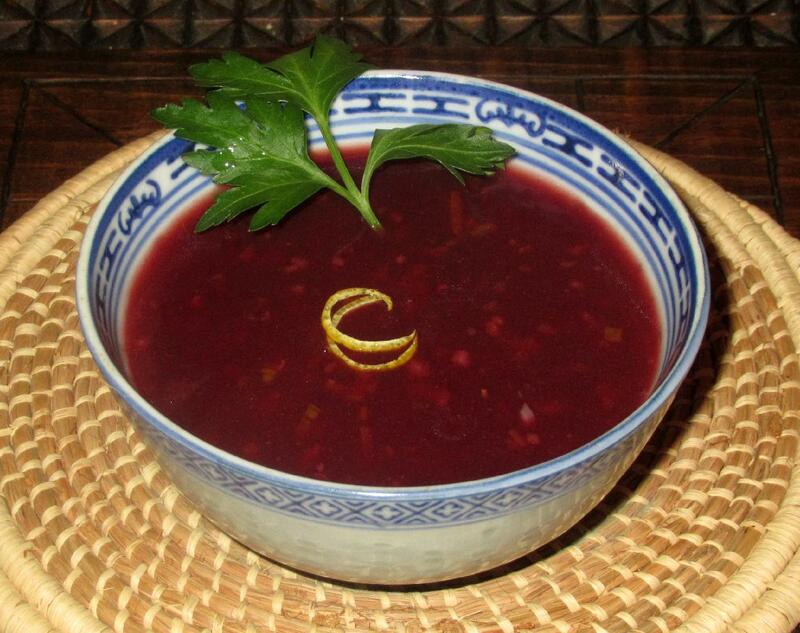 It is terrific with game and ham, but would also be a nice replacement for cranberry sauce with poultry. 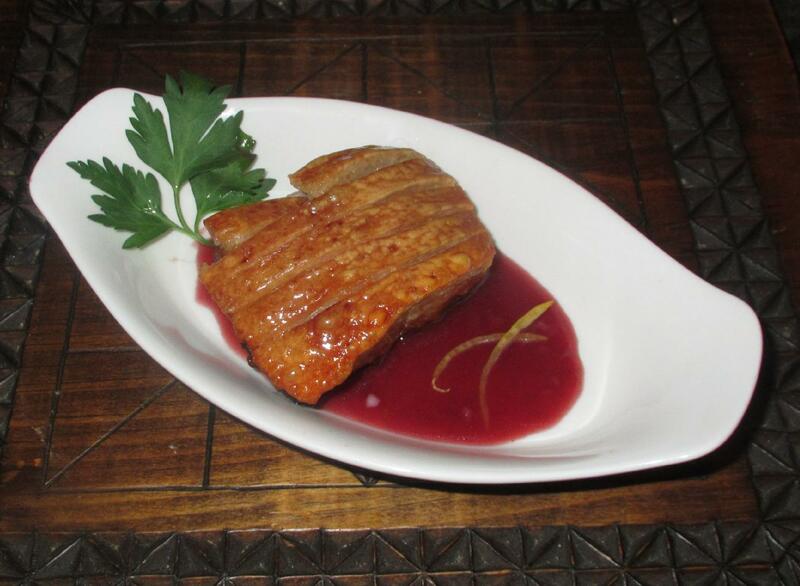 I actually served the first portion of this particular batch with Crackling Pork and it was very nice indeed. I have to confess, however, that I made a bit of an error while cooking the sauce… I used a pretty nice little Shiraz for the red wine component and poured a small tumbler to drink while I worked. I also poured out my Port in a similar glass and, perhaps inevitably, accidentally poured my drinking wine rather than the port into the sauce. I still used all of the Port, though, but I increased the sugar slightly to offset the acidity of the wine and also employed just a touch more cornstarch to allow for the additional liquid. Luckily, the result was just as good as I believe it would have been but for my accident. Years ago I bought a cookbook while traveling because of the Cumberland sauce that was on a dish in a restaurant I had earlier that day. I know I would like your version. Have been making Cumberland Sauce forever but I think I just got a newer and more interesting recipe for it! !